Part of the tremendous appeal and attraction of the NBA is the one-on-one game embedded within the team game. All NBA fans have at least once made a comparison between players of the same era, like Kobe Bryant vs. LeBron James, or across eras, like Kobe Bryant vs. Michael Jordan. Often these comparisons are what drive individual NBA players to true greatness because one title simply is not enough when you are compared to players with five or six. 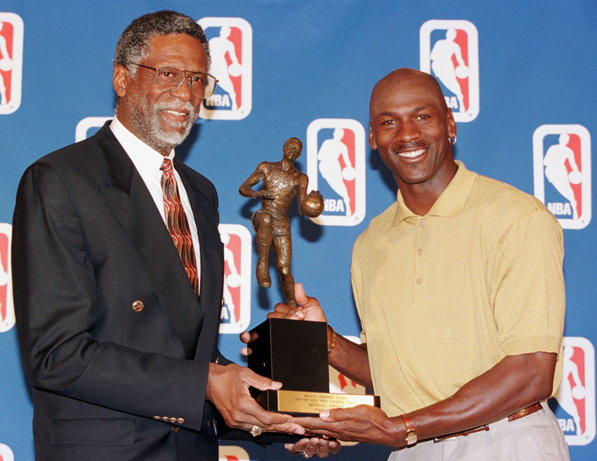 One MVP award is not enough when Kareem Abdul-Jabbar and MJ own more than just a few. There is something to be said for being named the most valuable player. In determining a player’s greatness, often MVP awards are the most legitimate and withstanding measures of comparisons. Rule changes and paces of play distort statistics from the early days of the NBA to the modern era. Nobody will ever again average 50 points in a season like Wilt Chamberlain did in the 1961-62 season. But being the most valuable player of a year means that, for an entire season, you were the best of the best. This is pivotal in comparisons. The big question is which more important: a regular season MVP award or a Finals MVP award? An NBA Finals MVP solidifies a player’s success on the stage where the pressure is greatest to perform and stars either shine or they choke. Although players before 1969 are at a disadvantage for comparison, the majority of the greatest NBA players of all time hit the NBA hardwood after the end of the 60s so the Finals MVP award is far from obsolete in comparing cross-generation legacies. Finals MVPs fail when you consider that great teams beat great individual players in the post-season. Case in point: Michael Jordan during the 1987-88 NBA season. That year, Jordan won the regular season MVP award, All-Star game MVP award, Defensive Player of the Year award, and the scoring title. Despite that unparalleled individual success, the Chicago Bulls finished the regular season with the seventh best record in the league and third in the Eastern conference. In the playoffs, MJ’s Bulls were eliminated by Isiah Thomas and the Bad Boy Pistons in five games where the average margin of defeat was almost 15 points a game. Michael Jordan, in all of his individual greatness, stood no chance against a powerhouse of a team. It sounds too simple to be true but that doesn’t make it any less valid. The NBA season is a marathon—not the sprint that it may appear if you only look at the final best-of-seven series. Take the 2001 Lakers, for example. Shaq ran away with Finals MVP honors, but if you look at the rest of the NBA season, there’s no way that he was the sole reason that the Lakers nearly swept the Philadelphia 76ers. Shaq definitely earned those Finals MVP honors but the numbers show that clearly Kobe Bryant was a valuable contributor to their success and a major reason that the Lakers even had the opportunity to win the 2001 NBA Finals. Those Lakers had two of the best scorers in the league and it was something more uniquely unstoppable than any duo or trio since because it was a formidable inside-outside combination of superstars. In fact, you could argue that the player who was singularly most important to his team was not even on the winning side of the 2001 NBA Finals. Allen Iverson put up 31.1 points per game that year and the second highest scorer, the ever-intimidating Theo Ratcliff, put up 12.4 a game. The Lakers were tough to beat because they could score from multiple angles but with the Sixers, you knew who you needed to stop in order to win. Even so, AI still managed to power his team through three playoff teams. 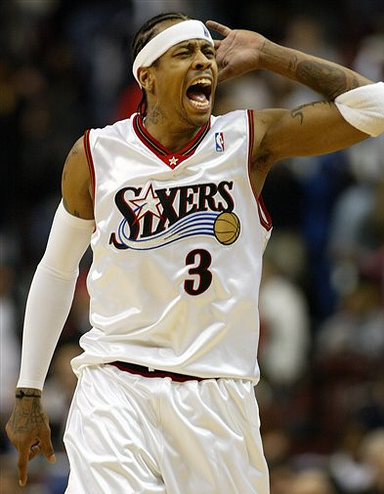 Iverson, the 2001 regular season MVP, carried his team as an individual more than Shaq, the 2001 Finals MVP, carried the eventual champions. Another prime example of this disparity in singular contribution is the 2007 Finals. LeBron James carried the Cleveland Cavaliers single-handedly to the Finals but got demolished by a pair of future Hall of Famers in Tony Parker and Tim Duncan, as well as a defensive specialist (Bruce Bowen) and someone who would be the 2008 Sixth Man of the Year (Manu Ginobili). It's blasphemous that this series is counted against LeBron’s legacy. He took a team to the Finals with a bunch of barely-average players and lost to a seasoned group of eventual Hall of Famers. If anything, I would argue it says great things about LeBron as an individual that he was able to take the Cavs as far as he did. If you put Tim Duncan, Tony Parker, Kobe Bryant, or Shaquille O’Neal on those Cavs teams by themselves, there is no way that they have the success that LeBron did. And let’s not forget that both the '07 Spurs and the '01 Lakers had Hall of Fame coaches in Gregg Popovich and Phil Jackson. LeBron and the '07 Cavs had Mike Brown. Even though Tony Parker took home Finals MVP honors in 2007, he would not have been in that situation without The Big Fundamental, whose overall regular season and playoff numbers were more impressive than Parker’s. The better team won the Finals in 2001 and 2007, but the best player in those series did not get a ring. Moreover, the mismatches that occur in some NBA Finals are also worth taking into account. Sticking with those 2007 Finals, was Tony Parker’s Finals MVP really that valuable considering the Cavaliers didn’t even win a game? In contrast, every regular season MVP award is earned over the course of the season. While there can certainly be some healthy debate as to whether or not somebody should have won an MVP, there is no doubt that the consistency of a regular season MVP winner is present. As such, when comparing great players, MVPs are important because they prove durability for the players who won them. I want to stress that I am not saying that a great NBA player can go a career without winning a championship or having well above average success in the playoffs. The point is that when comparing the greatest NBA players of all time, the regular season MVP is a more important measure than Finals MVP. Analyzing a player's legacy is extremely difficult, and a thorough analysis of each player (such as the ones you provide in your comparisons, if not even more deep) and their contributions to a team's success is necessary when ranking great players. 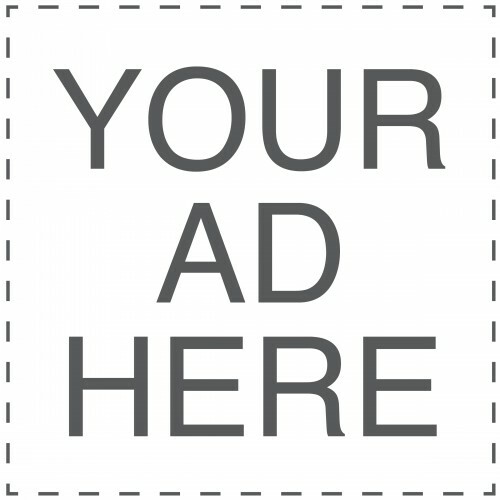 So, while I think that you make a good point in your article, I would like to suggest an alternate argument. To me, the Finals MVP is very important, because it involves both dominance and victory. When somebody wins that award, it means that the player was the best player on the team that won the series, and [presumably] contributed the most to the series victory. To put on a great performance in a finals series means A LOT to a players legacy. On your page, you bring up James Worthy, and how he was Finals MVP in 1988 despite being the third (or even fourth) best player on his team throughout that season. Today, when people look back on his legacy, they still remember his incredible performance in that game 7, even though his stats are comparable to plenty of far less memorable players. Great performances on the big stage go a long way in defining a players legacy, and rightfully so, in my opinion. Another interesting thing that actually helps your argument is that an MVP award does tend to coincide with winning - maybe not a championship, but a lot of regular season games. There hasn't been an MVP from a team that didn't make the playoffs in years, and usually that team is a top 5 seed. Not sure of the exact correlation, but I'm sure its huge. I completely agree with you that Finals MVP is very important...my argument is that MVP is more important. Even though brilliant performances do mean a lot in determining a player's over legacy, even the point you brought up is valid. Do we consider Worthy an all-time great? Not really, as you suggested yourself with mentioning his mediocre stats. A point that I saw made on this discussion is that the Finals MVP ultimately goes to the best player on the best team (ie team that wins the championship). This definitely goes back to my point of "great individuals vs. great teams." There's no way that you can place a direct correlation of greatness to the best player on the best team; as we all know, when LeBron was on the Cavs, he was the best in the league for a number of years (which his MVPs help illuminate) despite the fact that he was on an otherwise horrendous team. Ultimately even if LeBron only wins one chip by the time he calls it a career, there are sound arguments to be made that he is higher on the GOAT list then most of the players who have multiple Finals MVPs to their name (Willis Reed, Larry Bird, Hakeem, Kobe, Shaq, etc.). An almost identical argument can be made for Kobe Bryant. He was, and arguably remains, a top-5 player in the league from 2000 to 2012 - depends who you ask, but only snagged one MVP as well. However, he won 5 rings, three as a damn good sidekick, and two as the best player. So, once again, other factors define him as an all-time great. Karl Malone might be the 2nd leading scorer and the 6th leading rebounder in league history, as well as one of the most durable players ever. He also has 2 regular season MVPs. But somehow, almost no top-10 lists mention his name (you list him at 13). That is largely due to his championship and finals MVP counts, which both stand at 0. Is it really his fault over his best years, only three NBA teams won the title: the greatest dynasty in sports history (Jordan), a great player taking a loaded team to two titles once the opportunity came (Hakeem), and a 3-peat that could've been 10 straight in the right situation (Shakobe Lakers)? Probably not. But, its still held against him that he wasn't able to pull through when it counted. That is just how sports work - winning the big one is very important. It's not a coincidence that all 10 of your top 10 list have been NBA champions, and everyone in the top 8 have won several. Excellent points and I definitely understand and, for the most part, I actually agree with your premise. Ultimately, it is a collection of factors that puts a player in the GOAT debate. One quick correction/point, though: while all of the players listed in my top 10 greatest NBA players of all time (http://bit.ly/nbagoat) do have titles to their name, not all of them have Finals MVPs. That one who doesn't is actually often placed higher than even I put him but regardless he's certainly top-10 worthy (Oscar Robertson won a title but Kareem won the FMVP).